According to the U.N. report “The State of World Fisheries and Aquaculture 2018,” total marine capture has exceeded 80 million tones. Scientists and activists have sounded the alarm. The human appetite for seafood is outpacing what fishermen can sustainably catch. What can you do? How does food affect the climate? 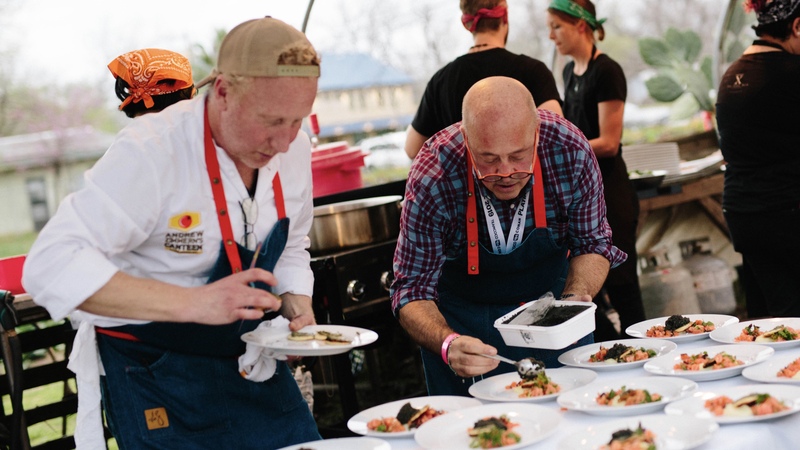 During a dinner and panel discussion, Verlasso salmon encouraged SXSW attendees to pause and think about the impact our food choices have on the global economy and environment. In partnership with the James Beard Foundation and Chef Andrew Zimmern, Verlasso invited leading, like-minded sustainable aquaculture companies to the table to share the story about water farmers and the role aquaculture plays in feeding the world’s growing population. “We must plant the sea and herd its animals using the sea as farmers instead of hunters. That is what civilization is all about – farming replacing hunting,” Jacques Cousteau. If you weren’t able to attend these events, follow @Verlasso and @ChefAZ on Instagram for images more about sustainable aquaculture’s global impact.